These little flowers are absolutely adorable – Happy Patty Crochet has done it again! 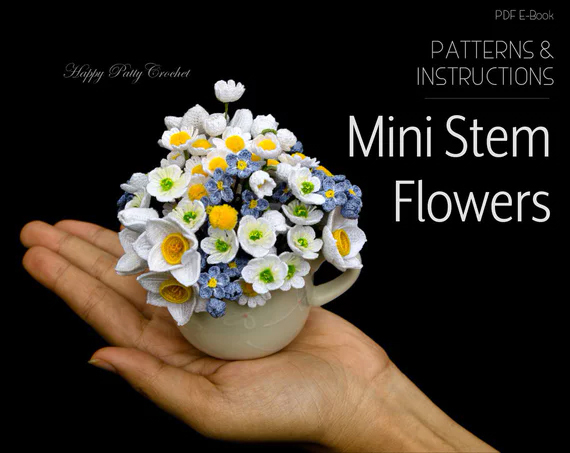 With this pattern set you’ll learn how to crochet 5 small stem flowers: Lily of the Valley, Miniature Daffodil, Mini Daisy, Anemone Hepatica & Forget-me-not. Included are pattern diagrams, written instructions and a step-by-step guide with photos!